Kaibādo (カイバード, lit. 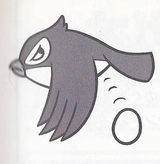 "Kaibird") are avian creatures fulfilling the role of enemies in Donkey Kong for the Game Boy. They appear as chubby birds and bear a strong resemblance to real world jays. Kaibādo inhabit the Jungle of the said game; specifically, Stage 4-1. Each of these stages contains a nest that spawns an indefinite amount of Kaibādo, one at a time. After prevailing from within their nests, Kaibādo birds fly in a horizontal path across the screen, descending a short distance and sharply steering in the opposite direction after they encounter one of the screen's limits. Before they make their way outside the stage's boundaries and despawn, Kaibādo perform three complete flights across the screen. Sometimes, they briefly stop mid-air and attempt to drop an egg on Mario after the hero walks beneath them. Mario should either dodge or deflect the egg with a handstand, otherwise he gets hit and loses a life. Kaibādo are also dangerous when coming in contact with Mario, but can be downed with falling fruit or an improvised, carriable projectile, such as a key. 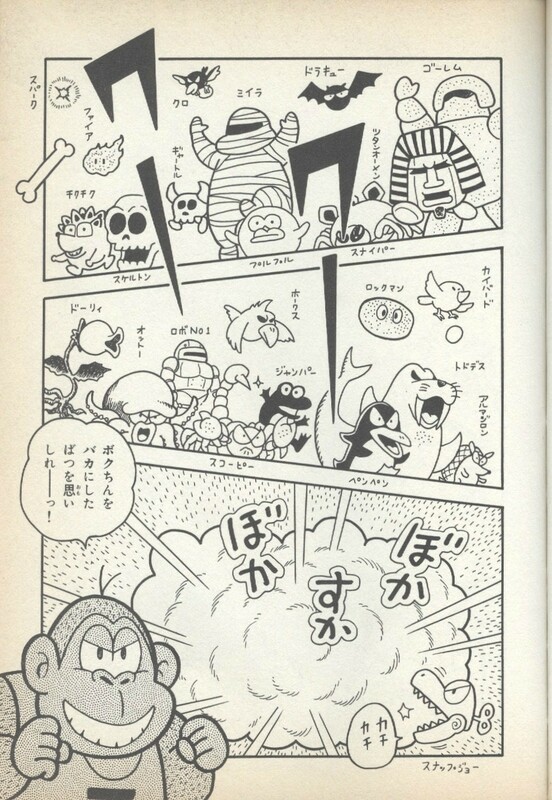 A noteworthy mention regarding a Kaibādo's behavior is that it is largely inspired from that of Nitpickers, enemies debuting in Donkey Kong Jr. for the arcade, otherwise completely absent from the Game Boy Donkey Kong. This page was last edited on December 10, 2018, at 05:40.